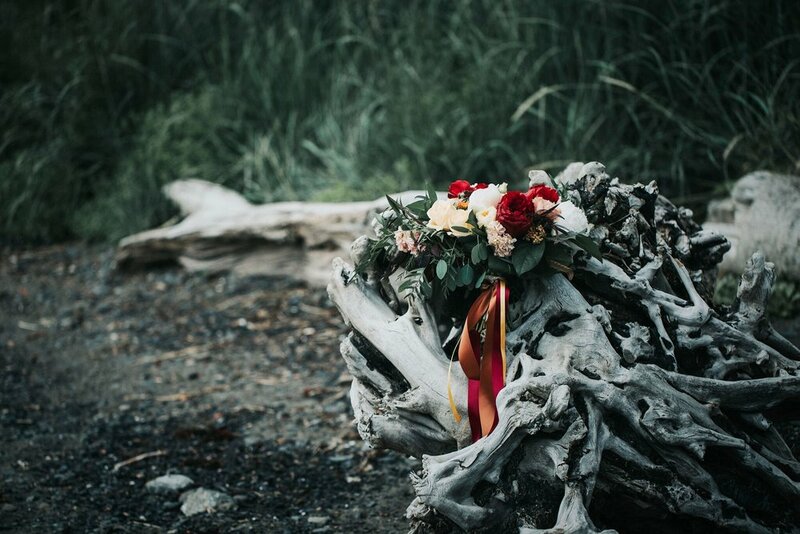 A woodland fantasy, Lord of the Rings inspired summer wedding on the shores of Kachemak Bay, at Neverland (aka Second Star Mansion). Renee and Beth were so excited and so imaginative - it was a dream to work with them for their incredible day! Hanna and her team from Relic Photographic were fun, laid back, and professional - their photos are incredible. One of my favorite parts of wedding work is pulling together the set up - the vendors are working on their pieces and family and friends are helping out, playing on the lawn, finishing up last minute details. 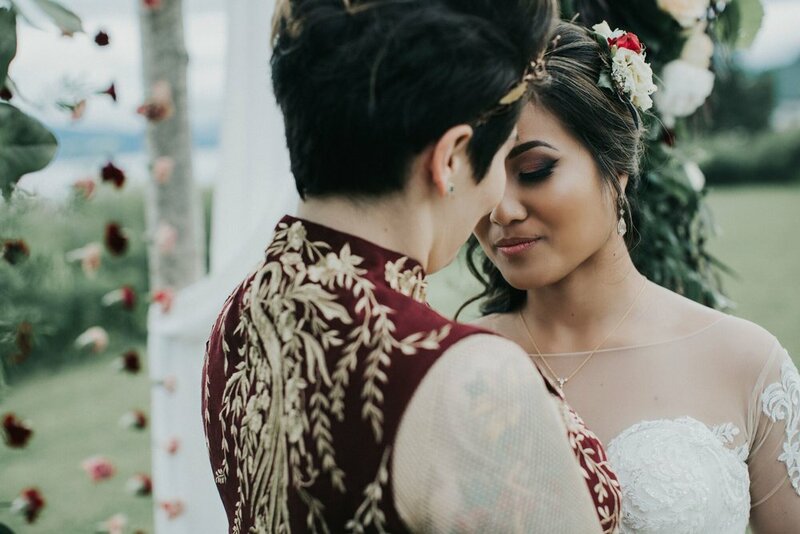 This was a wedding with a million thoughtful details, incredible style, and a whole lot of love (and that DRESS!). Thanks, Renee and Beth, for letting us be a part! 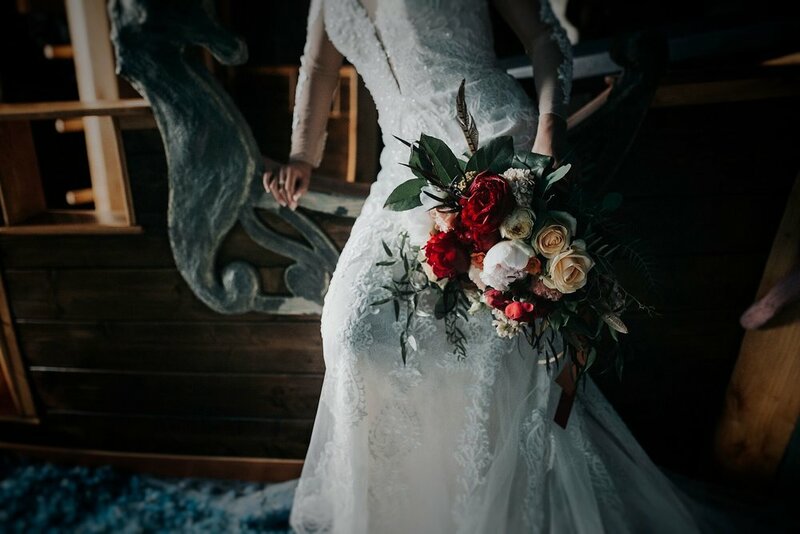 For more information on working with Alaska Stems for your wedding flowers, please see our wedding page and our wedding inquiry form! photo: Tyler Rye. This bouquet has already walked down the aisle, been thrown to the ladies, and done a little wading in the ocean. Tough stuff, right?! I love working weddings, and I love getting to know my clients through the process. A nurse and a boatbuilding engineer, it was so much fun to work with Kelly and Logan. Truth be told, with his project management background Logan tested the wedding planning waters and was my primary point of contact for their florals. He also build the arch and all the tables for the reception! They had a beautiful, minimalist aesthetic of olive and other greenery and white blooms. Across nearly 80 feet of banquet tables we laid loose greens with brass candlesticks, white candles, and beautiful mixed succulents in gold glass mercury votives. It was romantic and elegant, and a great option for long tables without going for full-on garland. This awesome arbor beautifully framed one of my favorite couples as they exchanged their vows. We used simple greenery and a few subtle accent flowers, with Kachemak Bay and mountains creating an unbeatable backdrop! The pictures from the beach are amazing. Tyler captured their adventure, love, and kindness so well! I'll leave you with a few more of his great photographs, and a big Thank You to Kelly and Logan for giving me the opportunity to participate in this true work of love. Homer sits on the edge of Kachemak Bay, with majestic views of mountains, glaciers, ocean and volcanoes. Every wedding venue has its unique charms, and they all are breathtaking. We are so lucky to live and work here! Last summer we had so much fun taking that unique beauty a step further, across the water to the south side of the Bay. Last summer we had so much fun taking that unique beauty a step further, across the water to the south side of the Bay. 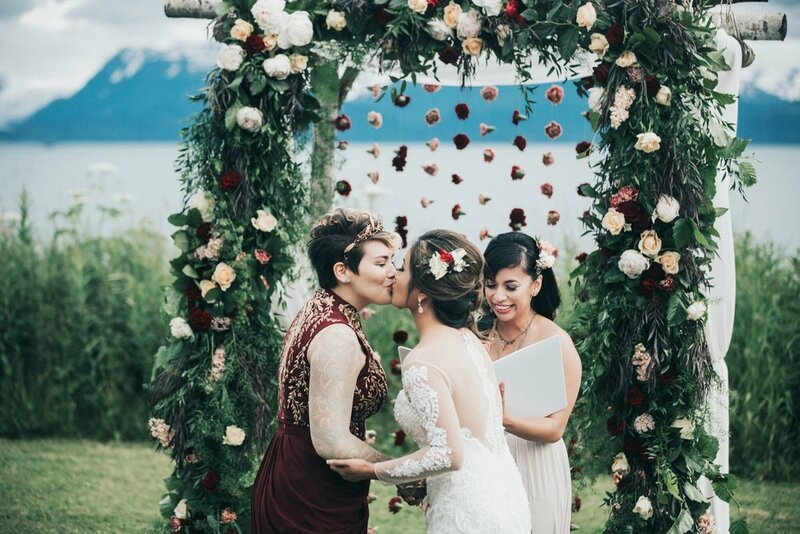 Katelyn and Van were married at a family home in Tutka Bay – surrounded by an incredibly beautiful rocky shoreline, trees dripping in green, and rising mountains. The day was sunny and hot, tucked back against the shore. Coming across the Bay was a different matter, with waves crashing and soaking some of those on the back deck of the boat! Thankfully our florals were tucked safely in the cabin, and a dryer was available on the other side for some wet clothes! Shawna and Madilyn (Madilyn Robinson Photography) heading across the Bay. This photo is looking back toward the Homer Spit and Land's End Resort. Wedding party flowers, packed and ready for a (protected) boat ride across the Bay! Soft, classic and elegant – this wedding featured a beautiful color palate of whites, greens, silvers with soft blush accents. We got to deck out a few outhouses with arrangements, and hang garland on a seaside deck. The bride’s family built an amazing structure over the deck, complete with chandelier! Hanging wreaths and a fabric-backed arbor with off-centered florals set the scene beautifully. A sweet touch in one of two outhouses for guests. Shawna and I had a fantastic time, working around the decks and winding wooden pathways to add floral accents around this incredible property. 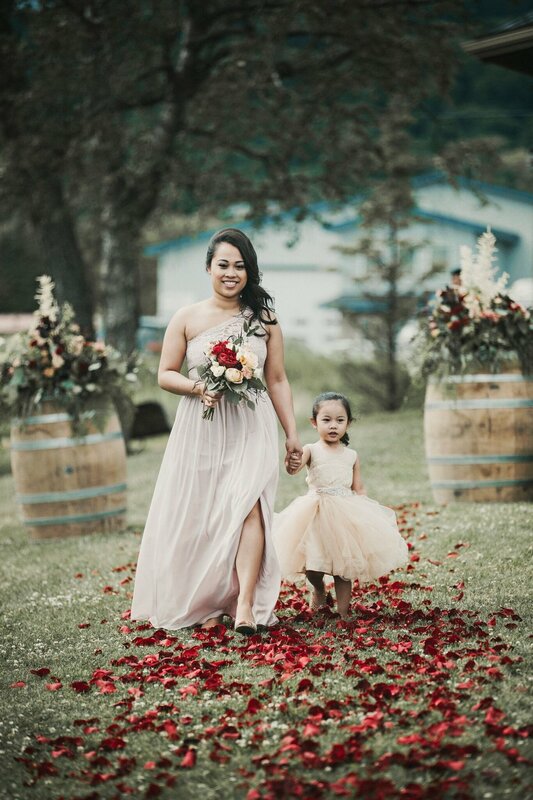 Katelyn was a wonderful, sweet bride from start to finish, and all of the friends, family and fellow vendors were fun company on this beautiful day. The wild blueberries were pretty amazing as well! Heading home after a fun, and long, day! The *best* way to commute to work - by boat! 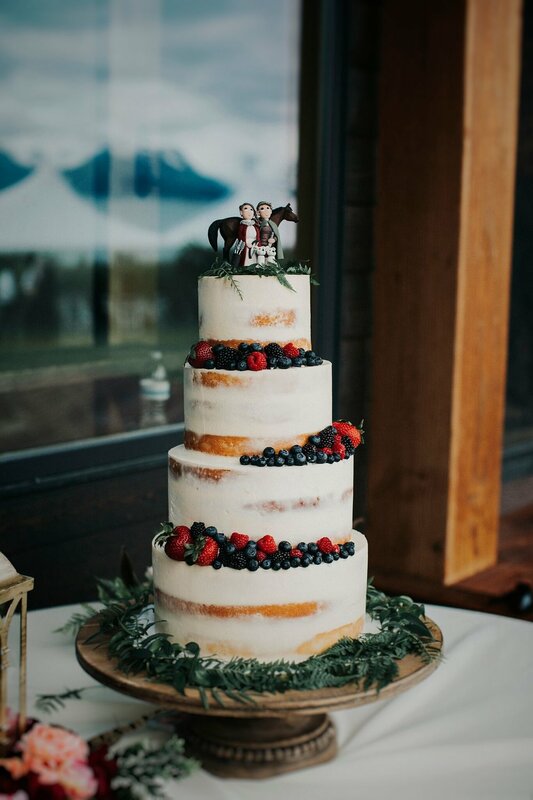 As the light returns here in Southcental Alaska, it's fun to be planning our crops and 2017 weddings, and dreaming of these sunny blue sky days! We still have some availability in our schedule - get started with a wedding inquiry form and I'll be in touch within a few days. As we say goodbye to 2016, we're excited to reflect on successes and opportunities heading into 2017! Here are some highlights of bridal bouquets and a wide range of styles and color palattes from the wedding season. Getting married in 2017? Learn more here and contact us for more information!